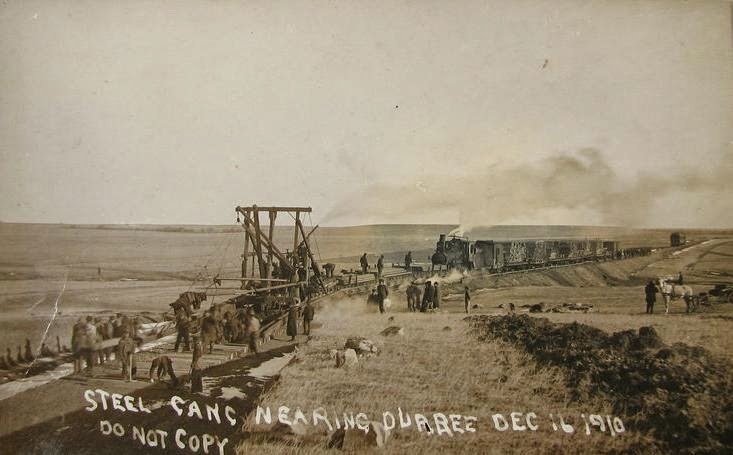 Here is an interesting photo showing work in progress on the Milwaukee Road railroad line as it neared Dupree, South Dakota, on December 16, 1910. If you click on the photo to see a larger version and inspect it carefully, you can actually see that the rail cars on the tracks adjacent to the work site are stacked with metal rails and wooden ties to be laid underneath the tracks. If this is the same branch line that led to the first train entering Faith on January 6, 1911 -- and I believe that it is -- then the work must have been relatively non-stop. The men laying down the tracks would have had to cover over 22 miles in less than three weeks time. Was covering this distance with new rail tracks possible in that amount of time? Across relatively flat terrain, yes. When the first transcontinental railway was constructed in the 1860's, a couple of records were set when eight miles of track were laid in a single day and later, in 1869, when ten miles of track were laid in one day. Here's an interesting photo of the first train to stop at Faith, South Dakota, after the establishment of the new end of the line. In its heyday, the Chicago, Milwaukee & St. Paul Railway, which was usually referred to as the Milwaukee Road, stretched from Chicago and the Great Lakes to Washington State. Various branch lines, including the one that ran to Faith, were important conduits of immigrants anxious to take up ranching and farming in the Dakotas. These lines also replaced cattle drives as an inexpensive way to ship cattle off to market back east. The new town of Faith reportedly got its name because "Faith" was one of the daughters of an important Milwaukee Road investor. Construction of the branch line took place in 1910, and then the first train pictured in the photo above arrived on January 6, 1911. 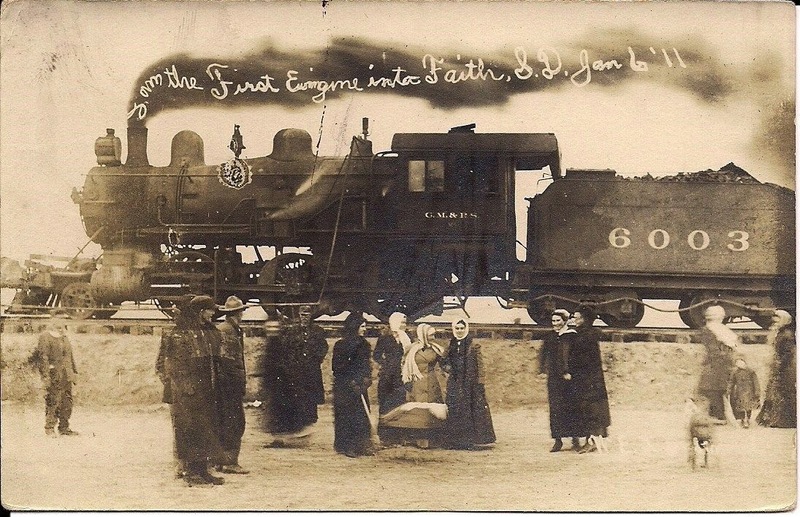 It's not clear whether the people pictured in the photo are the first group of immigrants to arrive in Faith via train. 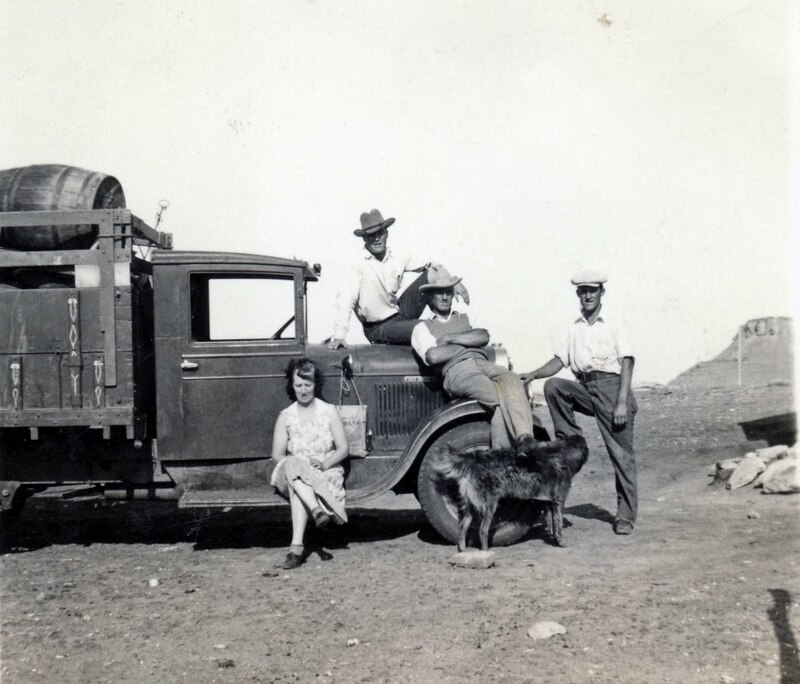 However, subsequent trains brought many more people who helped to settle the town and nearby homesteads. 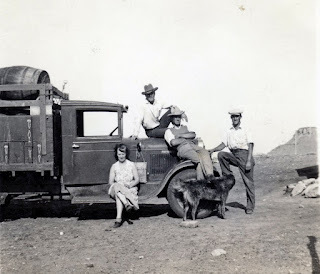 Here's an interesting photo taken near Thunder Butte (background on the right) in 1936 with my grandmother, Mayme Crowley, sitting on the running board of an old REO Speedwagon truck. Her son, Neil, is sitting on the hood of the truck and her brother, Joe Shockley, is sitting on the fender. A friend, Bill Williamson, is standing with a foot propped up on the truck. Of course, it could have just been the sun in her eyes, but Mayme does look downcast. The photo was taken on the occasion of Joe's planned departure from the area. 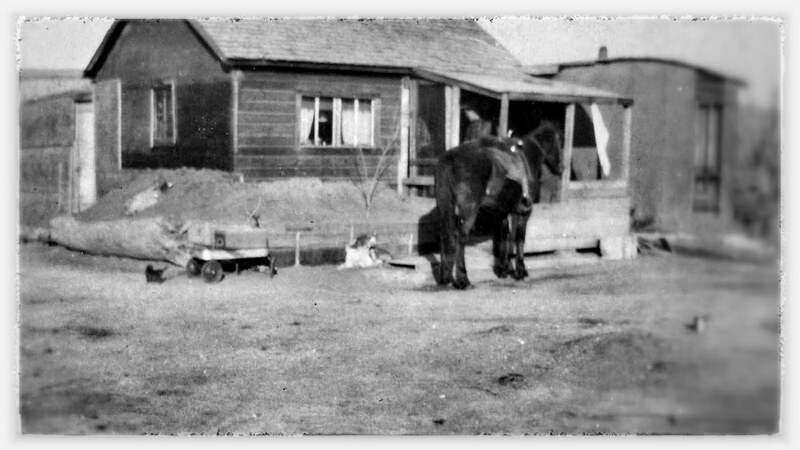 Joe was a long-time resident of Glad Valley. Reins slap Lindy on the flank. 70 years and he`s go`n home. down on Thunder Butte Creek. What`s a line shack, Dad? when doing roundup and scout`n strays. 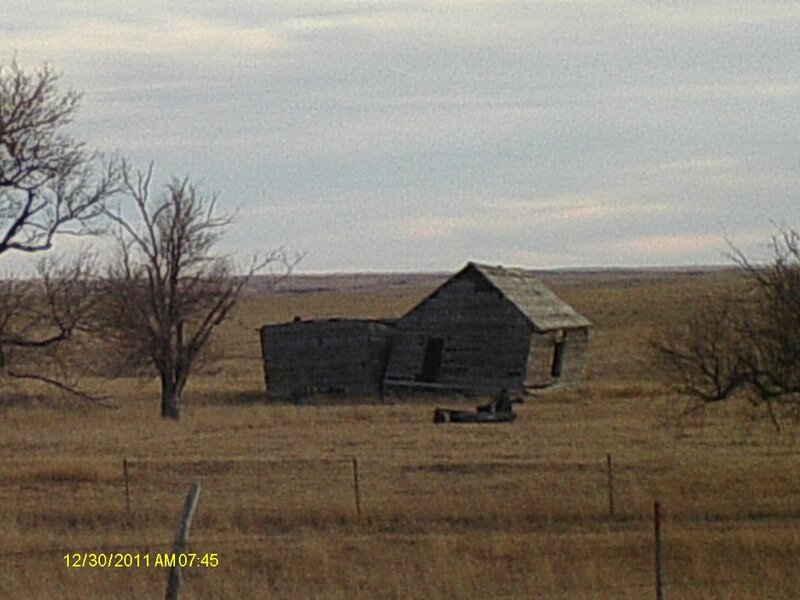 go back to an old line shack? was the day I became a man. 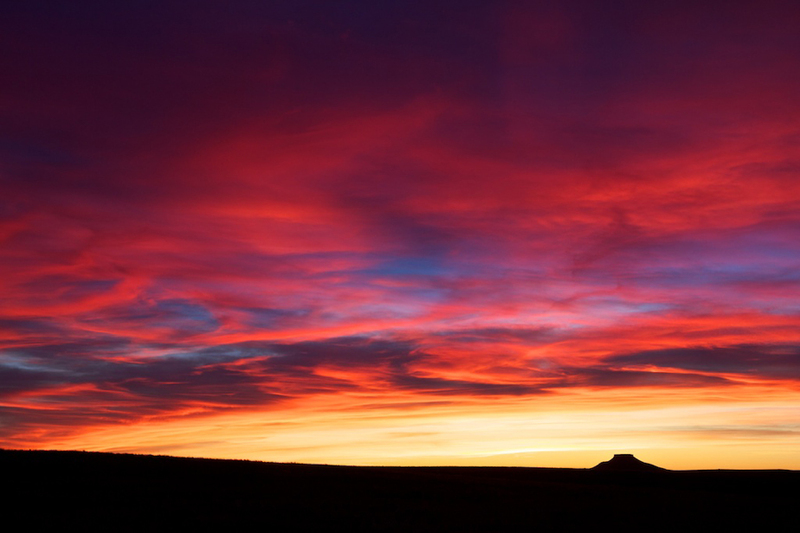 Dave Doan sent in this brief video clip of Thunder Butte. Much appreciated! 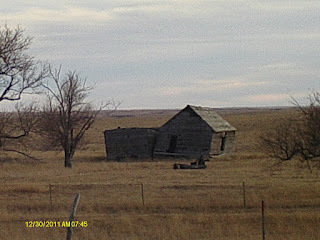 Dave also sent a picture of the family's old place from the original homestead, which his brother Doug now owns. 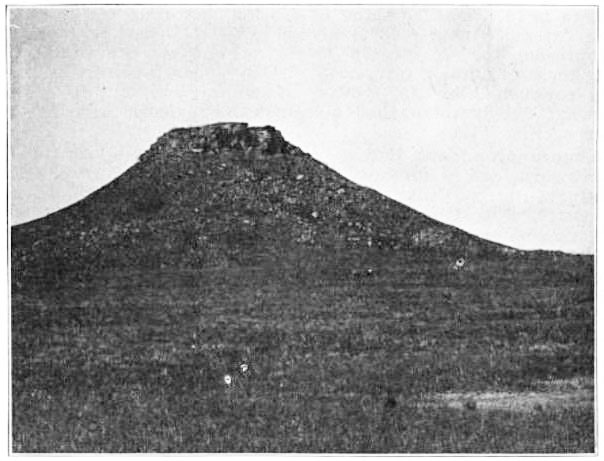 The old home is located seven or eight miles southwest of Thunder Butte in Perkins County. Editor's Note: One of the photos and the video appears here by permission of Dave Doan. The photo of Thunder Butte circa 1918 or earlier is a scanned image from a turn of the last century and copyright expired publication. The other photos are not copied, but are merely clickable links to the photos as published by the original photographers elsewhere on the internet.